A well-known association between pulsatile tinnitus and intracranial hypertension is now established. Most patients with significant IH have at least sigmoid sinus stenosis. The chicken/egg question of what begets what remains unsolved. Does high CSF pressure collapse the sinus? 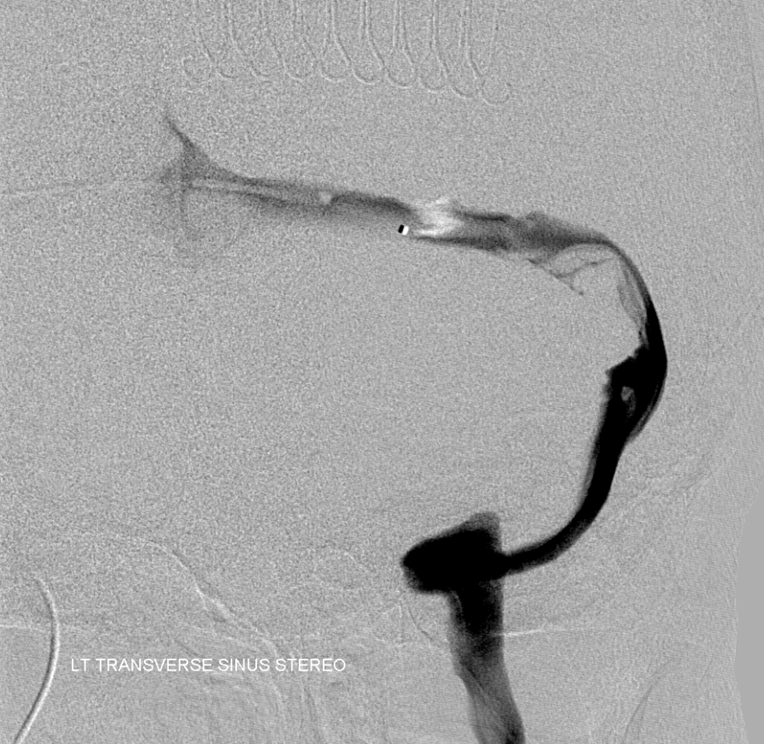 Or does venous outflow obstruction due to sinus stenosis lead to increased CSF pressure? Those who believe stenosis to be a secondary phenomenon point to well-documented cases where previously narrowed sinus becomes fully patent after lumbar puncture or ventricular shunting. 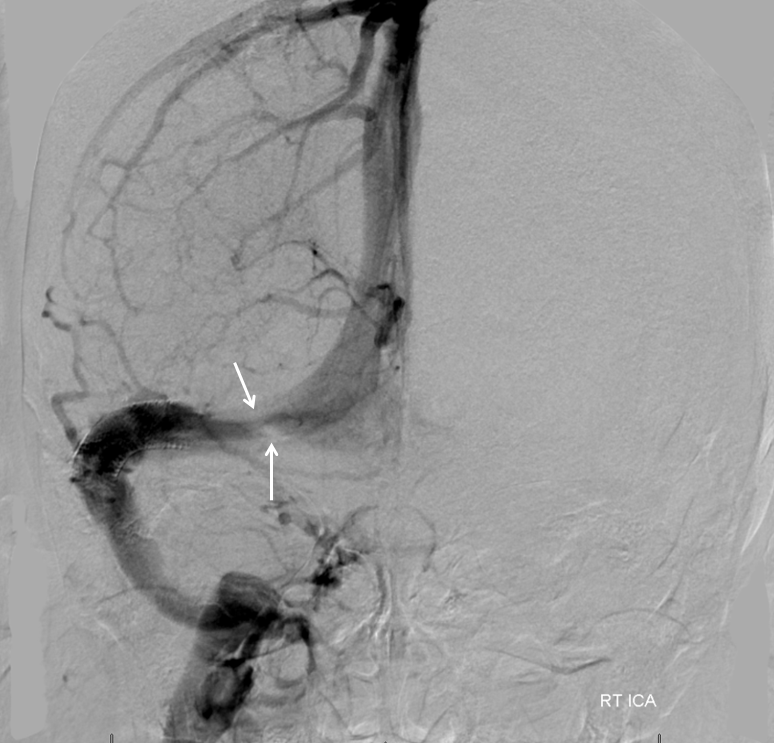 They also argue that recurrence of IH after venous sinus stenting, which is usually associated with narrowing of the sinus just outside the stent, speaks to continued external pressure. 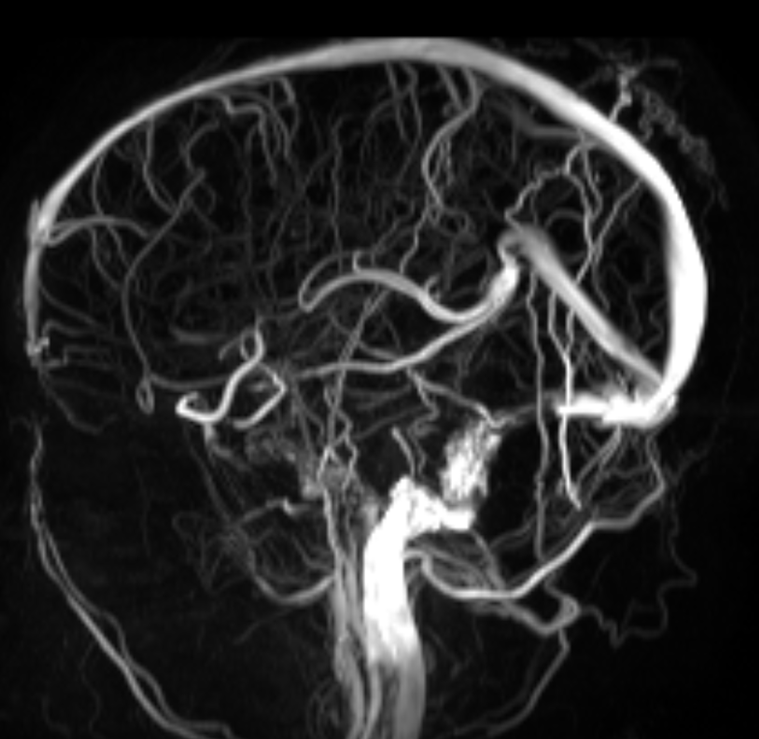 On the other hand, believers in venous stenosis being the primary pathology argue that other conditions which lead to increased intracranial pressure (mass lesions, subarachnoid hemorrhage, trauma, etc) do not lead to venous sinus stenosis. They are undeterred by observation that there are many other ways for venous blood to leave the head — cavernous sinus and emissary skull foramena, for example. Who is right? I believe both points of view are valid. 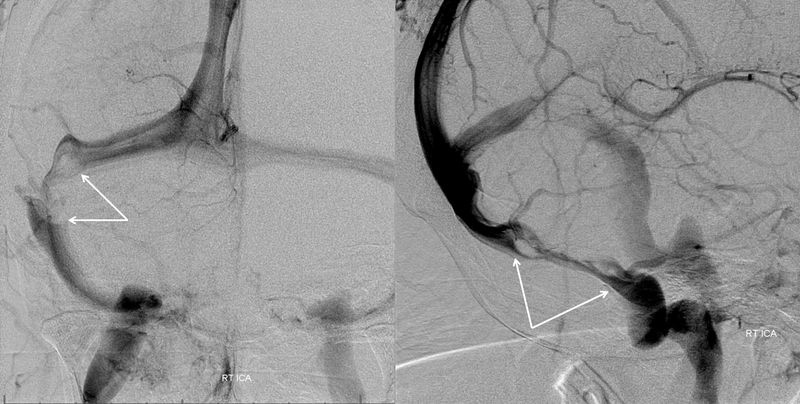 The following case shows recurrence of IH following sigmoid sinus stenting, which argues that venous stenosis is a secondary issue. 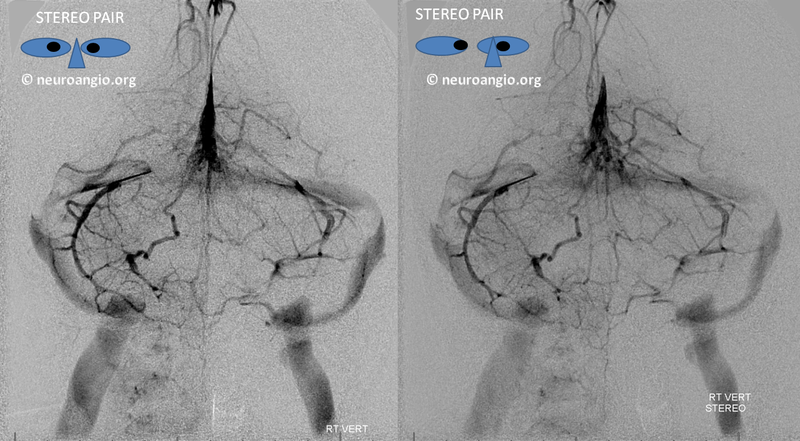 However, a companion case (click here) shows a situation where venous sinus stenosis and severe pulsatile tinnitus persisted despite placement of a programmable and fully functional VP shunt, and despite shunt success in resolving all other symptoms of intracranial hypertension. I believe that the etiology of iH is not understood, and that subtypes of IH patholgenesis may exist — in some venous stenosis is primary, and in others secondary phenomenon. This patient presented with severe right-sided pulsatile tinnitus as chief complaint. The sound could be abolished by ipsilateral jugular compression and accentuated by contralateral jugular compression (which is not a sensitive, but highly specific sign of venous etiology for PT). In taking further history, both headaches and intermittent blurred vision were present as well. However, the chief complaint was pulsatile tinnitus. Some patients are more resistant to headaches than others. Unfortunately, this makes diagnosis of IH even more difficult. Opening pressure was 36 cm water. One year later, the clinical situation is stable. Imaging shows mild right transverse sinus stenosis (flattened appearance with less contrast density). 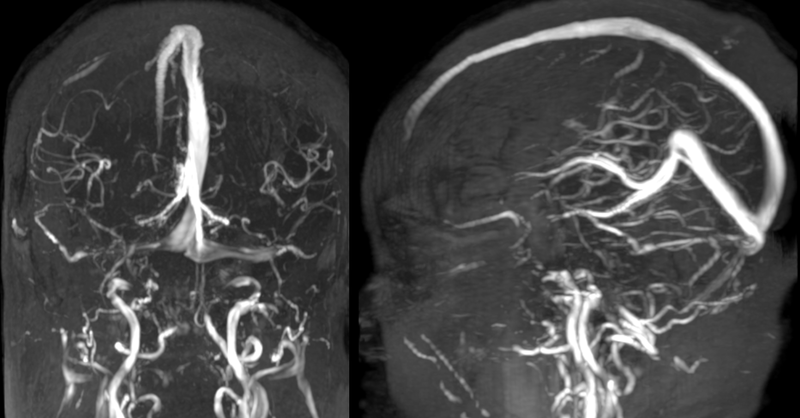 The other side shows severe persistent stenosis. 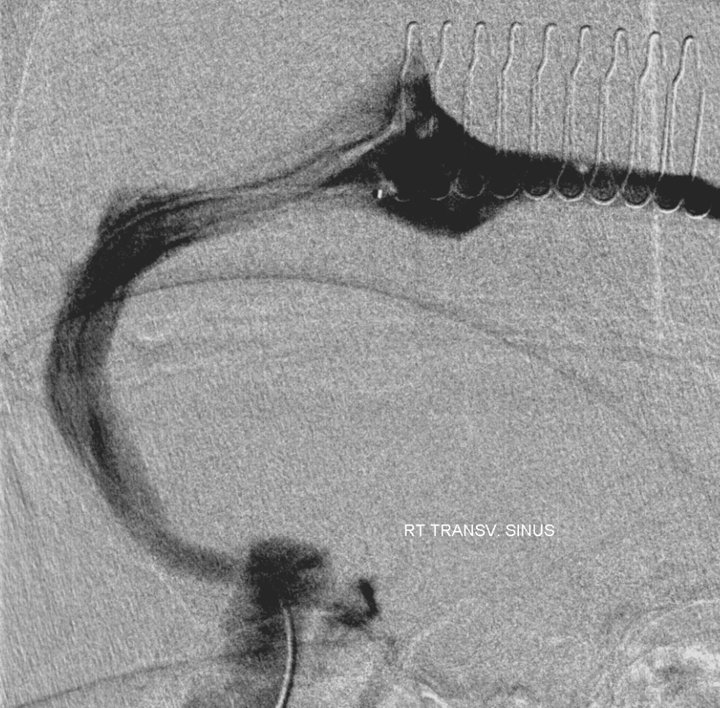 However, as in all cases, pulsatile tinnitus, which was the chief complaint and the primary reason for stenting — is gone. That is one of the lessons we learned over time. Even if IH were to recur, PT so far has not. For those who are primarily affected by PT, it is a still a victory.